You may never have heard of Gua Gha (aka scraping, spooning, or cao guo), but many in the East Asian community will know its results by sight. A kind of folk medicine, it can be described as “instrument-assisted press-stroking of a lubricated area of the body surface that intentionally creates transitory therapeutic petechiae representing extravasation of blood in the subcutis” (Nielsen, 2013, p39). In layman’s terms, the above statement means that the practitioner of Gua Sha will apply oil on and around the problem area, then perform repeated stroking/scraping motions with a smooth-edged tool, with the aim of producing a change in the colouring of the skin in that area. The skin will tend to become either, pink, red or purplish, depending on the severity of the problem, and may include stippled darker areas within the main patches. The darker and more condensed the patterning, then (in Chinese Medicine language) the more stagnation is evident in that area. This stagnation refers to Blood, body fluids and energy. The change in skin colour produced by Gua Sha should not be mistaken for bruising (although this can occur when applied by overzealous or inexperienced practitioners), and will tend to resolve itself over 1-5 days, and this will itself be somewhat diagnostic of the underlying conditions of the body and its fluids. Gua Sha should not be painful, though some discomfort at the most tender areas often occurs, but the desired effects can be elicited with a relatively gentle action. In fact it can be surprising just how little is required to bring up the characteristic markings of Gua Sha. In terms of application, Gua Sha is most often used for muscular problems, such as tenderness, tightness, pain, and restricted motion. Commonly, this may be in the neck, shoulders, and back, but most areas of the body can benefit. Treatment of early-stage cold and flus (including those pesky summer-colds currently afflicting us) is another use for Gua Sha, as its action activates immune function and reduces inflammation (reasons why many practitioners receive regular Gua Sha treatments as health maintenance). Additionally, many internal conditions can be treated with Gua Sha, by applying the therapy to the back of the body, at the level corresponding to the internal dysfunction. Application to the front of the body is less common, but can be employed for certain conditions. Tools used for Gua Sha range from exotically-shaped instruments made from jade or ruby-quartz, to everyday items like jar lids, or coins. 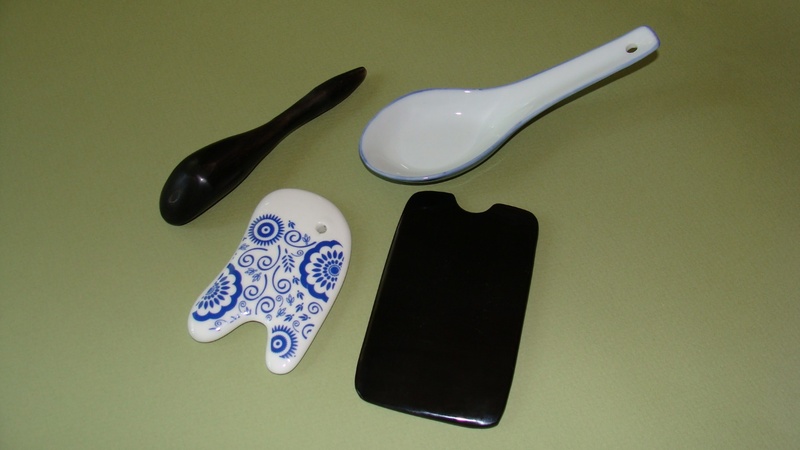 In the middle of those two extremes, you will commonly find practitioners using rectangular sections of buffalo horn, or ceramic soup spoons, such as are used in Asian restaurants. Really, the main requirement for a Gua Sha tool is that it be strong and have a smooth edge. The “magic” of Gua Sha comes more from the technique than the tool. Clients are often amazed that such a simple technique can yield such immediate and profound results. To try it for yourself, contact Melbourne Natural Medicine Clinic today and book in for your first Gua Sha experience!